Justin went on his very first mission trip to Panama in 1993, and his heart and life were forever changed. Since then, he has felt a strong calling on his life to be a part of international missions and to mobilize other believers to get involved in eternal work for the Kingdom of God. Over the past 21 years, he has trained or led over 1,300 missionaries to more than fifteen countries. 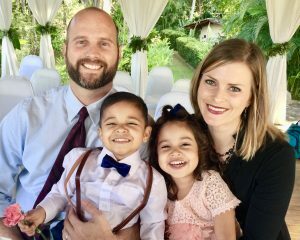 In 2009, Justin and his wife, Ashley, served as full time missionaries in San Pedro Sula for 15 months, and during this time the organization now called Sparrow Missions was formed. 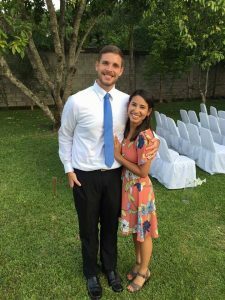 In May of 2013, Justin and Ashley moved back to San Pedro Sula, where they currently live and serve as full-time missionaries. Justin oversees the daily ministry taking place in the city and is responsible for training and leading local staff members. Ashley actively leads the women’s discipleship ministry, while also managing and coordinating short-term mission teams who are staying at the ministry house. Justin and Ashley are also in the process of adopting two little additions to their family. Aaron and Graciela are two beautiful twins who Ashley and Justin welcomed into their family at birth! After serving on a short term trip to Honduras in 2010 and witnessing firsthand the plight of abandoned children in the country, we felt a strong call to help in whatever way God may direct us. Not long after opening our home as a foster family in Kentucky, we were approached with the opportunity to become directors of the Sparrow Children’s Home and provide abandoned children in Honduras the opportunity to grow up in a family rather than an institution. We accepted the call, along with our daughters Tara and Ella, and made Honduras our home in June of 2014. Just two weeks after moving onto the property of the Sparrow Children’s Home in 2015, we were blessed to welcome our first two babies into our home to become part of our family, and were blessed with two more in July of that same year. Besides raising these precious children, we currently work with other ministries in our community as well. I work with an elderly assisted living community in Tela on a weekly basis as well as handling the day to day operations of the Children’s Home. Roxanne leads a weekly women’s Bible study for our community, and also helps out with the sewing clinic on site. Roxanne has a PhD in Pediatric Nursing and will be opening a medical clinic on site for people in our community very soon as well. We ask for continued prayer as we care for the four children God has blessed us with and the daily challenges that come along with that calling. Pray that we be intentional with times of rest as well as wisdom concerning continued opportunities to serve as we become more invested in our community. Finally, as always, we ask prayer for our two precious daughters, Tara (13) and Ella (10), as they continue to adjust to life here. Even after three years in country, it is still a struggle sometimes as they miss family and friends, and life is just a little more difficult living in the Honduran countryside. 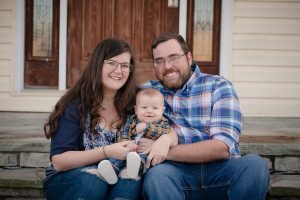 Chris & Alishia Weeks are house parents at The Sparrow Children’s Home. 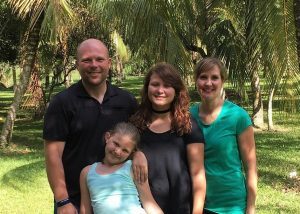 Chris & Alishia have served in Honduras with Sparrow since December 2014. They have 4 children in their house: Baby Micah and their 3 foster children K, B, and A who have lived with them since January 2016. Chris & Alishia are also very involved in community outreach in their town of Santiago. Alishia teaches English at the local public school and helps lead a sewing clinic for the community every Wednesday. 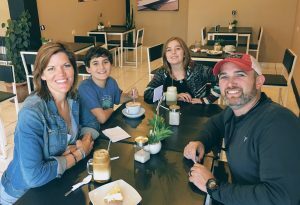 God is doing amazing things in Santiago, and Chris & Alishia feel blessed to be a part of it. Chris also works with Ministerio Vida in Tela. It’s a men’s rehabilitation center where he teaches Celebrate Recovery classes and welding and carpentry. They pray God continues to lead them daily to minister wherever He calls. In 2001, when we were dating, we traveled to Uganda for our first missions trip together. Our hearts were simultaneously captured and we knew that one day international missions would be our future. Throughout the next 15+ years, “the missions talk” would resurface, but the timing was always wrong. In 2013, we were part of a youth trip to San Pedro Sula. During that trip, we both felt a renewed passion and a deep love for this country. Over the next few years, we returned numerous times and brought our kids as well. Our hearts were stirring and we longed to be part of what God was doing in the country and people we treasured. Long story short – this path led us to become part of Sparrow Missions. We truly believe that NOT one is forgotten by God. We are thrilled to have a front row seat in all that God is doing here in Honduras. We value short-term missions, practical ministry, and discipleship. We are blessed to partner with the Schwarting family as we seek to fulfill the Great Commission. Currently, we are attending language school in Siguatepeque. It has been an awesome experience and a needed time of transition for our family. School is tough, but we know that our time in classes is a lasting investment in our ministry. After school, our family will join the Schwartings in San Pedro Sula. In June, we are kicking off our summer internship/gap year program, SPRW504. Students who attend will experience day-to-day life as a missionary, as well as receive intensive discipleship, language-learning and TEFL certification. Our program will work alongside the many facets of Sparrow Missions. We will also seek to enhance vocational and life skills programs for children, teens and adults in the community. Prayer Requests: Our family – Pray for our marriage and our children as we continue to transition and settle. Our schooling – Pray that we would finish well! Our ministry – Pray for our students, our planning, and all of the major and minor details. It wasn’t even halfway through my first trip to Honduras during the Spring of 2014, when I felt God calling me to serve here in San Pedro Sula. I had always loved my yearly mission trips with my church, and I used to think missions would be something I’d like to do when I retire and I am financially comfortable. But God revealed something to me during that first week; my calling was much more than a retirement plan. It was going to be a lifelong commitment to furthering God’s Kingdom. I am so blessed to be able to carry out that commitment here at Sparrow Missions. I didn’t know it at the time, but God not only introduced me to my lifelong mission during the Spring Break of 2014. He also introduced me to my future wife. Elena had been working with Sparrow for a year and a half at the time, and I don’t believe it was a coincidence that she was translating with my team for that week. Now after almost three years of marriage, I realize how blessed I am more and more everyday to have Elena by my side. She has to be the youngest principal in the history of education, and does an incredible job leading the teachers and students at the Sparrow Academy. She pours so much into the school, and we are already seeing the fruit of her labor as students are getting the education that they deserve. I continue to lead teams, and work on the finances in country. When I am not busy with either of those two responsibilities, I am able to teach English classes and jump in when I can at the Steve Brown Carpentry Workshop. We love what we do, and thank God everyday for the opportunities we have to serve Him in so many different ways. We ask that you continue to pray for the Sparrow Academy, and that God continues to provide the staff the wisdom to truly make an impact on the lives of these special children. And we also ask for prayers over our marriage, especially during the busy summer months. But most importantly we ask for you to pray that we always put God first, not only in our marriage, but in all that we do.